Atta, graham, arrowroot…it can be confusing for our clients to know which grains and cereals contain gluten, and which are gluten free. Isabella Fedele, APD has created this flyer to share with our clients. 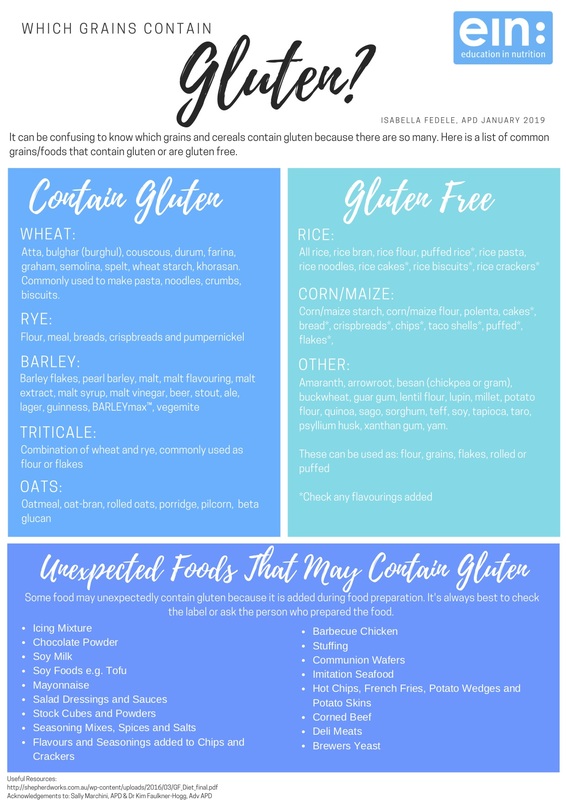 It lists the regular and alternative names for gluten containing grains as well as gluten free options. We would like to thank Sally Marchini, APD and Dr Kim Faulkner-Hogg, PhD, AdvAPD for their expert input.